Fr. General has very kindly written a dedication to this edition. ….It gives me great pleasure to be invited to write this dedication and it is my prayer that through the poetry of Alphonsus many will come to know “the mystery hidden for ages and generations but now revealed to his saints.” Col.1:26. I am delighted that many of his poems, written in the Neapolitan dialect, will now be available to a wider English audience. The addition of the Italian text allows the reader to experience the words as they came from the heart of this remarkable saint. And they came straight from his heart! As the editor, I owe a great debt of gratitude to Mrs. Enza Russo who has spent long hours perfecting the translation into English. Living in Naples’ Province, in a sense, I breathed Alphonsus’ music and poetry, so his tunes and lyrics I carry within my memory. When I migrated to Australia in the late 1950s I was delighted to find them again here, in parishes where there was an Italian community, for they are indeed a patrimony of the whole church. 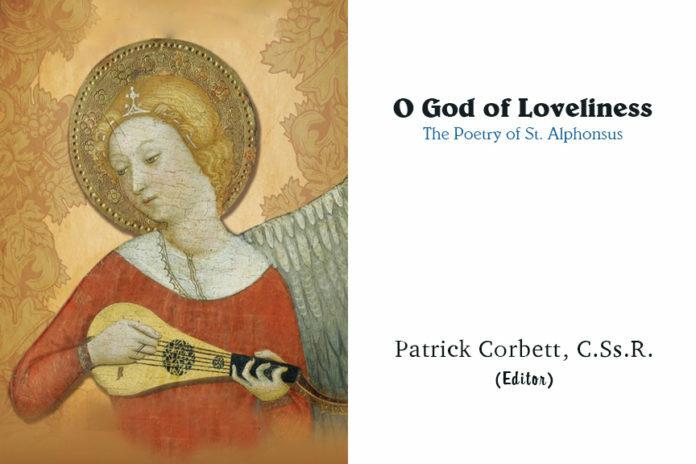 So, when I was asked to help with preparing an English translation of the poetry of St. Alphonsus, I was delighted and honored to offer my humble contribution. There has been an earlier attempt to render his poems into English. 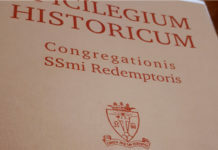 The Redemptorists are greatly indebted to Fr Robert Coffin, CSs.R., who in 1863 was one of the first to attempt such a translation. 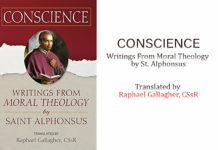 In translating the text and closely examining the words, to interpret St. Alphonsus’ message, I became more familiar with the saint, his mystical theology and spirituality. St. Alphonsus, I think, is a great saint, a great mystic and a man for all seasons! Fr. Coffin published Hymns and Verses by St. Alphonso wherein he attempted to capture both the meaning and the rhyming of the original Italian. This translation of the poetry of Alphonsus has the benefit of much modern research into the period when Alphonsus wrote. It is also enriched by the technical research of those committed to a new theological understanding of his methods. We are much indebted to Professor Carlo Vecce for his research on the Spiritual Canticle of Alphonsus and Stefania Nanni’s more recent research into the Spiritual Songs of Alphonsus Liguori. Our grateful thanks to Fr. Alfonso Amarante and the Music and Cultural Committee for their pioneering work in creating a new Italian text of his poetry and for his permission to use the Italian text. Finally, I am deeply grateful to Fr. Michael Goonan and the staff at St Paul’s Publications for their support, encouragement and technical skills that have made possible this present edition.